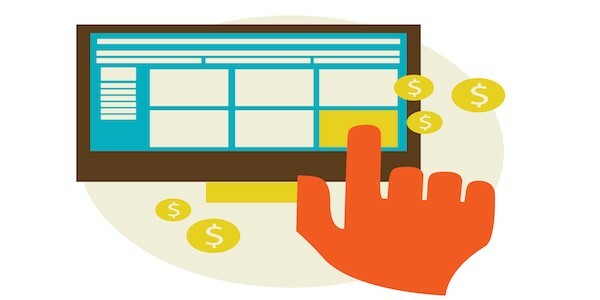 For any marketer, one of the biggest goals is to increase conversions on your sales pages. But how do you go about raising your conversion stats? Is it as simple as offering promotions? Engaging your audience? Writing the right copy that will prompt your audience to respond? It’s no secret that I’m a big fan of A/B testing. I think marketing online is a continually shifting endeavor where marketers have to constantly try what works and what doesn’t. Remember that while there are general guidelines and rules that we follow, there will always be exceptions to rules. You could be that exception—and the only way to find out is to test it. I’m partial to Visual Website Optimizer—it’s what we are currently using and it is by far one of the easiest A/B testing platforms out there. Now, try giving your reply in the shortest way possible. Making your page look enticing to customers is important, but a clear value proposition trumps even the most beautifully designed sales page. Differentiate your brand or service from competition. Highlight what you have to offer prominently. Answer a direct need of your customers. Create a single sentence that will achieve all points above. Often, marketers go straight for the sale without making a good pitch. There are cases when people find themselves on your website without really intending to sign up or purchase anything. That means they are not really primed to commit to anything—whether it’s a purchase or sharing their email addresses. Slow down. Don’t be too pushy and go straight to asking people if they want to share their information, sign up, or buy something before they even know what you have to offer. Jargon will always sound like a foreign language to anyone who isn’t in the industry. True, it sometimes tends to make you sound like you know what you’re talking about, but what is the point when others won’t know what it is? Be clear, simple, and concise. Keep your language conversational and uncomplicated. It’s the best advice I could possibly give you when it comes to writing copy. When you’re offering something, it’s likely that there will be apprehension, objection, even friction. List all possible questions that will prompt hesitation from your target audience. Provide answers for all the questions that you just listed down. Incorporate all these answers into your final sales page copy. The idea is to build trust for your brand—and you can do this by making sure that questions your audience may have are answered, while building value for your offer at the same time. These tips should get you started! If you have any questions about them (or just want to share some tips of your own), please leave a comment below. As always, if you felt this post was helpful in any way, would you please take a moment to share, like or tweet it?